This is the advice from Tim O'Shea, Mindcom's managing director, when he was interviewed by Elaine Maslin for the Friday edition of the EDP business pages on August 6 2010. 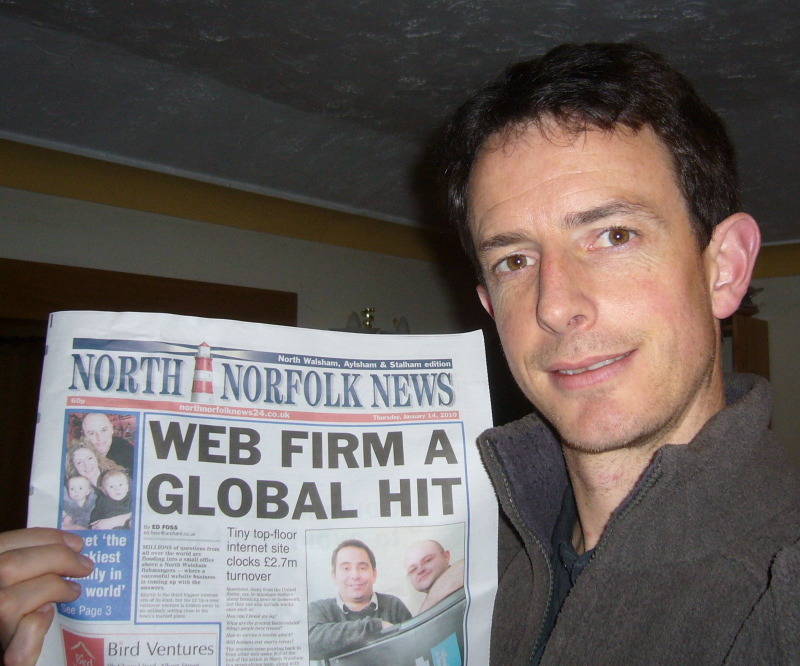 Elaine Maslin is acting head of business at Archant Norfolk and can be found on Twitter as @elaine_maslin. 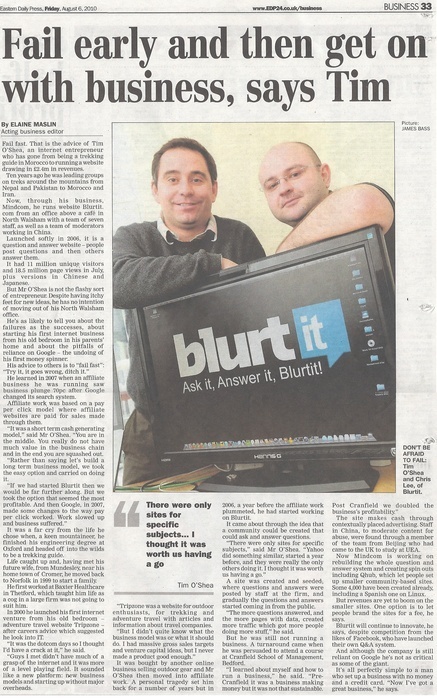 Blurtit.com and its sheer size - especially considering how few of us are in the company - is the focus of the article. Chris managed to describe most of the questions on Blurtit as 'mundane', but apart from that it read pretty well. 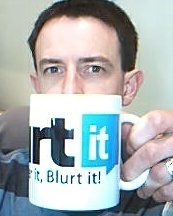 This is the mug everyone will want in years to come, you mark my words! Blurtit while you drink! Hide it somewhere safe then John! Mashape is an API marketplace! 01 May Hide it somewhere safe then John!